Last weekend came another in the seemingly unending list of things I never thought I would say/do: ‘you guys watch the film, I want to pickle a turnip’. I had one the size of my head – just like this turnip selfie from a couple of weeks ago. 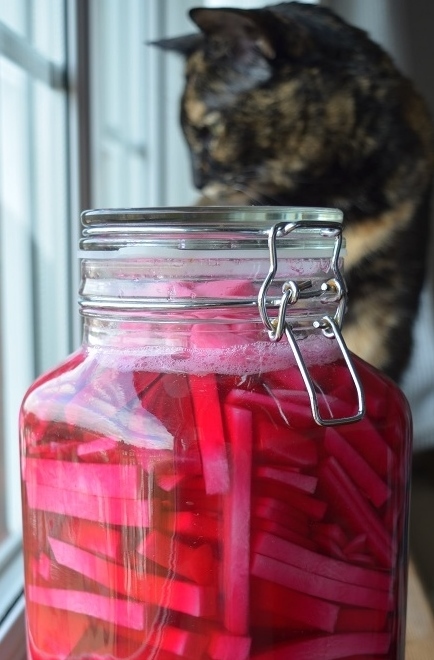 It’s been hacked into bits, packed tightly into a jar with some raw beetroot, garlic & bay and is slowly turning a lurid neon pink. This is the recipe if you’re interested. After a week on the kitchen floor it’ll be ready to taste & put in the fridge. One small technicality – a jar that big doesn’t fit. On the plot I’ve noticed our local mice/rats have found my neighbour’s sweetcorn. 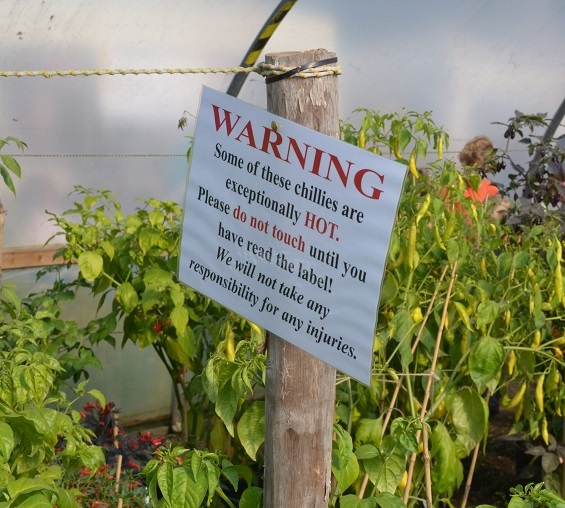 Much as I like the allotment cat, I don’t want to provide him with corn-fed rodents. As the silks were brown and crispy I thought I should pick some of my popcorn cobs, just so we get some, even if it’s a little (aka quite a bit!) early. But the cobs still need drying. 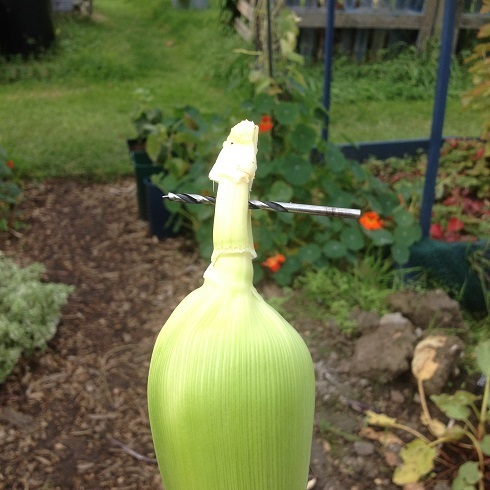 The clearest information I found on drying them was to pick with a bit of stalk, drill a hole in the stalk end and hang them somewhere warm and dry till the kernels flick off easily. My shed now has bunting in cob form. I LOVE reading your bulletins Beryl.. Val..